On the 21st, President Trump announced the new US strategy for Afghanistan. It will increase the number of US troops in Afghanistan – which most Afghan officials were happy to hear, including President Ghani. Trump said the new strategy focuses on targeting terrorists and does not include nation building. He also said the US ‘can no longer be silent about Pakistan’s safe havens for terrorist organisations. The strategy does not specify how many new troops will be sent to Afghanistan, nor does it provide a timeframe. Days after Trump’s announcement, top US officials in Kabul said increases in US military troops and air power was already underway. The Pentagon also confirmed that current troop levels are around 11,000, in contradiction to the long referenced 8,400. Notwithstanding Trump’s comments about Pakistan, his administration has set aside $255 million in military assistance to the country. The funds will be put into an account which Islamabad can access if and when it does more to crack down on terror groups attacking Afghanistan. Pakistan’s lower house of parliament condemned the new US strategy on the 31st and called on their government to stop supply shipments to the US-led NATO mission in Afghanistan, in response. On the 13th, Ghani nominated Wais Ahmad Barmak as Minister of Interior and Taj Mohammad Jahid as Security Adviser. The appointments are awaiting a vote of confidence from parliament. On the 17th, Mohammad Asif Mohmand, a member of the Balkh provincial council, said Governor Atta Noor had him arrested by the security forces in Mazar-e-Sharif and then tortured him. Noor’s spokesperson rejected the claims and said they stem from personal enmity from Mohmand. On the 29th, airstrikes in Herat province targeted a Taliban base. There has since been confusion over the circumstances and outcome of the attack. There is speculation over who performed the air raid. It was reported over a dozen civilians were killed. The Afghan Ministry of Defence reported that 16 Taliban fighters were killed. Meanwhile, local residents maintain the insurgents escaped before the air raid and all deaths were civilian. This month saw two deadly attacks on Shiite mosques. On the 1st, a Shiite mosque was attacked in Herat province. An attacker stormed the mosque and opened fire on worshipers before detonating explosives, killing 29 people and wounding 60. One of the victims killed was Mohammed Asef Qaderyan, the father of Fatemah Qaderyan, the Afghan female robotics team captain who recently participated in a global competition in the US. In another attack, on the 25th, suicide attackers entered the Imam Zaman mosque in Kabul. Over 100 worshippers were caught up in the fight between Afghan Security Forces and insurgents. At least 40 worshippers were killed and 80 wounded. In response to the increased number of sectarian attacks on Shiite mosques, the Ministry of Hajj and Religious Affairs called on the national Security Council to draw up a plan to safeguard all religious facilities. On the 15th, three massive graves containing over 42 bodies were found in Mirza Olang valley in Sar-e-Pul province. The graves were found after a coordinated attack in the area during which Mirza Olang briefly fell to insurgents before being recaptured by Afghan Security Forces. The majority of victims in the graves were civilians, some of whom were children. It is said that these civilians were massacred while trying to escape an attack by the Taliban and Daesh. The Taliban rejected these claims but Daesh has claimed responsibility for the atrocity. 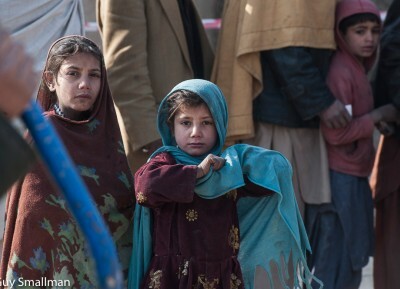 At least 471 families remain displaced as a result of the fighting. There has been great concern over the surge of civilian casualties in Helmand during the first four months of this year. The Afghan Independent Human Rights Commission (AIHRC) said that a record number of 938 civilians were either killed or injured in southern Helmand during the period. The victims were mainly women and children. The UN, AIHRC, and the US have all expressed concerns over militant groups targeting minorities. In particular, the attacks by Daesh in Herat, Kabul, and Sar-e-Pul were targeting Shia Hazara minority. On the 12th, it was reported that over half of the Afghan refugees seeking asylum in Sweden have had their applications rejected and will likely be deported. A group of Swedish citizens have joined in protesting the decisions. Findings from a study released by Save the Children Afghanistan, a NGO, this month found that as many as 91 percent of children in Afghanistan are subjected to some form of abuse. The study is based on interviews with about 1,000 children and their parents. On the 24th, human rights activists urged Ghani to improve anti-torture laws so that victims of abuse by security forces would be able to seek restitution and compensation and take the government to civil court. On the 16th, the Afghan Ministry of Labor, Social Affairs, Martyrs, and Disabled stated that statistics from the World Bank illustrate more than two million Afghans who are eligible to work are either jobless or do not have proper employment. On the 21st, the European Union (EU) approved a €100 million package to support Afghanistan’s development. A few days later, it was reported that with only four months left in the fiscal year, the Afghan government still has not spent 72% of its development budget. On the 28th, the Afghan Civil Aviation Authority (ACAA) renewed Kam Air’s license and approved its application to start flights to Europe. However, this will only be possible after the EU’s civil aviation authority removes Afghan airlines from their blacklist. The Afghan Ministry of Agriculture, Irrigation and Livestock announced it will distribute more than 500 tons of saffron bulbs to farmers in 30 provinces this year, as part of a five-year plan to increase saffron production. On the 14th, unknown gunmen killed three local staff of Catholic Relief Services in Ghor. No group has claimed responsibility for the attack and the intension of the attackers are still unknown. Afghanistan has become one of the most dangerous places for aid workers. The 19th marked the 98th Independence Day for Afghanistan. Independence Day ceremonies took place across the country with various political leaders in attendance. In Herat, civil society activists and residents celebrated by holding a public gathering to sign a petition to show their solidarity with the government and send a message of unity against terror groups. Afghan singer, Aryana Sayeed tried to hold a concert in Ghazi Stadium in Kabul this month. Aryana chose the stadium known for Taliban executions in the late 1990s and said she wanted to put a smile on people’s faces in the very place. The concert however took place in another venue the next day as Afghan security officials said it would be impossible to ensure security. Save the Children Afghanistan held a concert for street working children in Kabul. Famous Afghan singer Farhad Darya hosted the event and almost 1,000 street working children attended. The aim of the concert was to raise the voices of street working children and to advocate for a new law to ban child labour. On the 27th, the Afghan national bodybuilding team won gold, silver and two bronze medals in the Asian Bodybuilding and Fitness Championship in South Korea.